Maybe there’s something in the water, or maybe there’s an invisible vortex of energy emanating from The Mystery Spot, but for whatever reason, Santa Cruz has long been a magnet for freethinkers, radicals, artists, street performers, punks, Deadheads, dread-heads and outside-the-box characters of all stripes. This point isn’t lost on Richard Hoover, who is still feeling the magic more than four and a half decades since he became a permanent resident of this town. As befits an establishment that represents a laidback town like Santa Cruz, SCGC’s company goal is peace of mind and quality of life for its customers as well as for its staff. 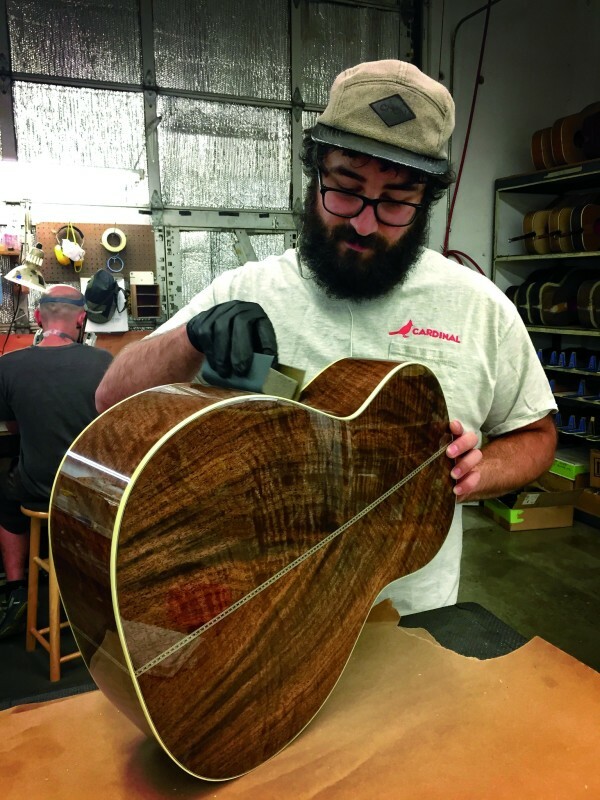 Some by-products of this commitment are the relatively small number of instruments the business manufactures—roughly 500 to 700 per year—and the famously high quality of the guitars that it produces: SCGC’s instruments have won the favor of such notable players as Eric Clapton, David Crosby, Ben Harper and Joan Baez, and high-profile musicians like Brad Paisley, Janis Ian and Tony Rice have gone so far as to put out signature SCGC models. 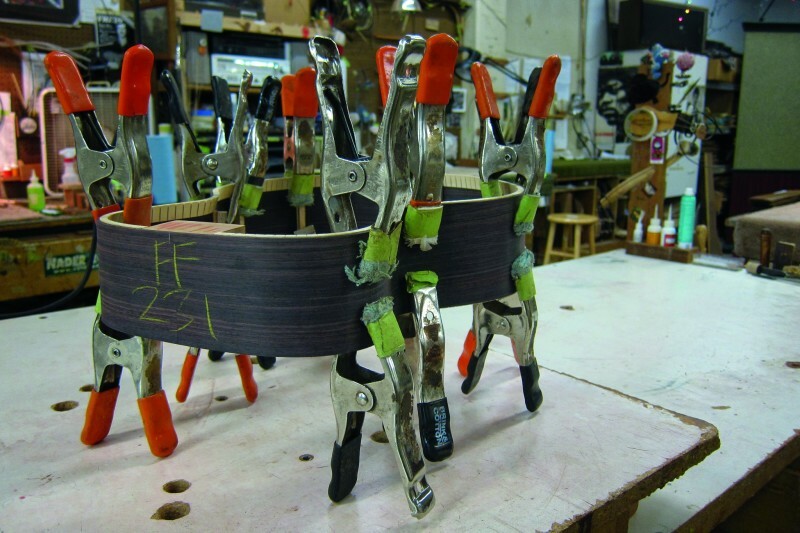 Hoover’s life as a luthier began at age 16. While he was strumming a guitar to pass the time before his girlfriend came home from school, he had the revelation that if he took the instrument apart, he might be able to figure out how to rebuild it. The odds were in his favor: His father, who worked in wood, metal, plastic and foam, often had his children make their own toys, not to mention take things apart to figure out how they worked. His mother, a reference librarian (“the Google of the day,” Hoover notes) suggested he find books that would show him how to put the guitar back together. In the absence of books on making steel-string guitars, Hoover gathered his information from treatises, diaries and analyses of violin-making and then applied this knowledge to the guitar. The next key event in his career took place while he was working as a performing singer/songwriter. 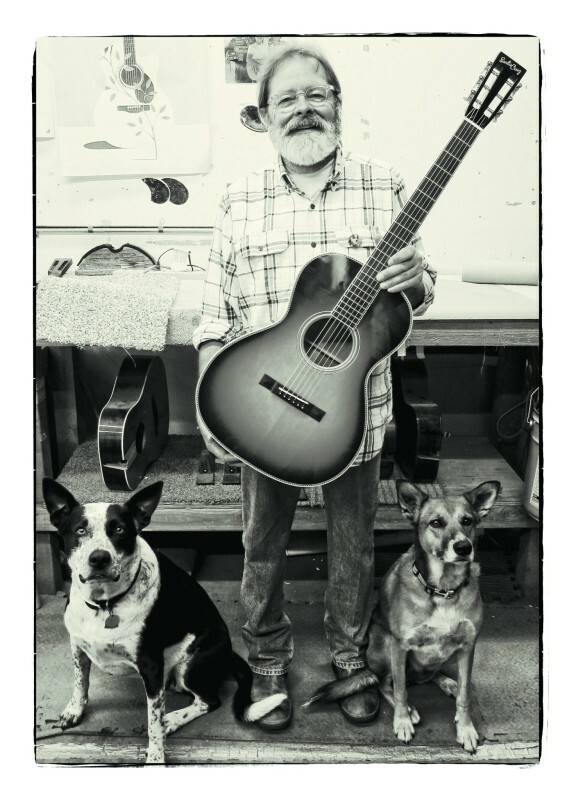 When he applied for a loan in the fall of 1972 to replace a stolen guitar, he discovered that his loan officer, Bruce McGuire, was a guitar maker. In the neighborly spirit of a true Santa Cruzan, McGuire taught him the ways of luthiery. All these years later, Hoover’s passion for guitars hasn’t diminished in the least. He attributes his enduring enthusiasm for his work to its connection to something larger. Santa Cruz, (831) 425-0999;, santacruzguitar.com. This entry was posted in Art, Business, Featured, Local Loop, Opinion, Spotlight. Bookmark the permalink.